Contemporary, Modern Rustic custom Dining Chairs handmade in Montana. Order custom dining chairs for your table today. Walnut and Cherry cantilevered custom dining chair. This chair is very lightweight and has a hand carved seat and natural edge cherry slab back. 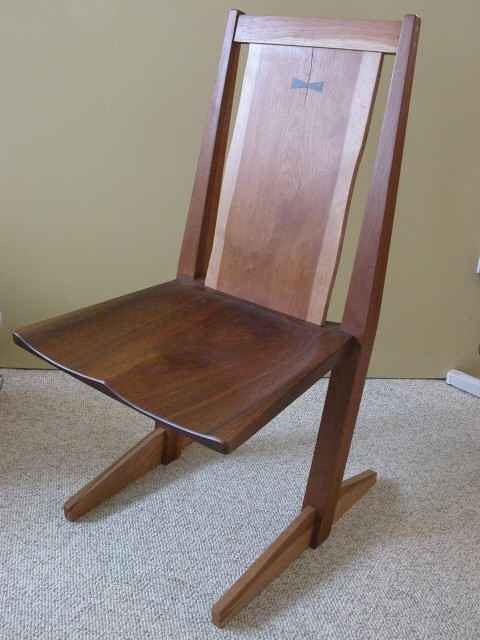 Custom Dining Chair-Cantilevered walnut and cherry. Back view of chair.